Home › News › New service options keep machine downtimes to a minimum. Hembrug has expanded its maintenance options, with customers now able to choose from four instead of two. These options are even better suited to the service life of the Mikroturn® machine, how often the machine is used, and the maintenance level generally. Hembrug now offers a health check, minor service, major service and maintenance on a contract basis. A health check involves a 15-point inspection of the machine, which primarily gives the customer an insight into the machine’s condition. A minor service checks 31 points, while a major service 62 points of the machine. A major service involves giving the machine a thorough clean as well as replacing the oil and parts such as filters and back-up batteries. Apart from maintenance on demand, customers also have the option to have their Mikroturn® machine serviced under a maintenance contract. 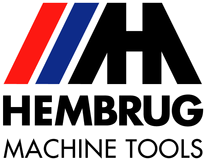 If this facility is chosen, Hembrug will then maintain the condition of the machine at a level that keeps downtimes caused by faults to an absolute minimum. A maintenance contract is concluded for a minimum of 3 years and offers many advantages, such as a discount on spare parts and labour, 48-hour engineer service, guaranteed parts delivery and 16-hour remote service. Remote service involves us making use of a remote connection to the controller. This allows control-related problems to be solved without the need for a Hembrug engineer to pay a visit. Learn more on the service page.